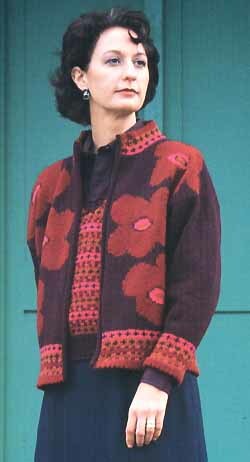 This jacket with a floral design is knit using Jamieson's Double Knitting 100% wool yarn and is from Simply Shetland. 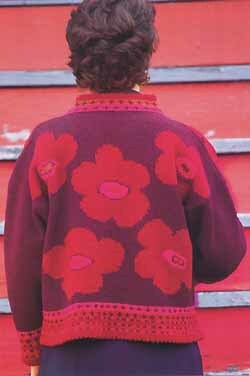 It can also be viewed with the matching Cosmos Vest. The design is by Nadine Shapiro and is classified as an "Expert" skill level. Yarn kits are detailed below.